Rotherhithe & Beyond: Last Casp of the season? Perhaps. Hard work this weekend! 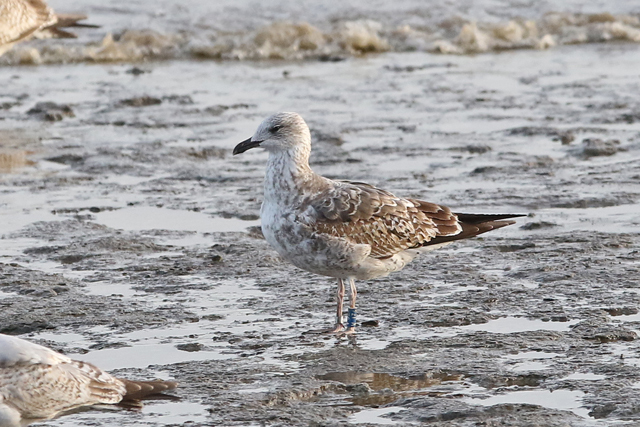 Biggest stress I had was failing to get the full code on a metal ringed adult Lesser Black-backed Gull on Greenland Dock that was probably Dutch ringed. First world problems I guess. adult Lesser Black-backed Gull Rotherhithe, London 25th March 2017 - origin unknown, rather frustratingly! Anyway with the northerly winds, migration wasn't quite on the cards enough to give it a good go so I favoured a couple of lie-ins to recharge the batteries. Particularly as the tides for the Thames weren't until late afternoon/evening for both today and yesterday. 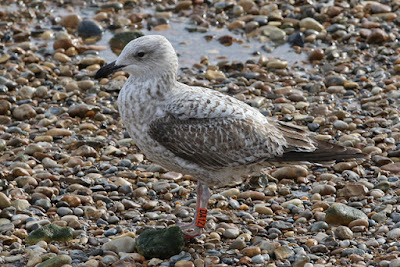 So it turned into another gulling weekend, perhaps the final one of the season? We'll see. 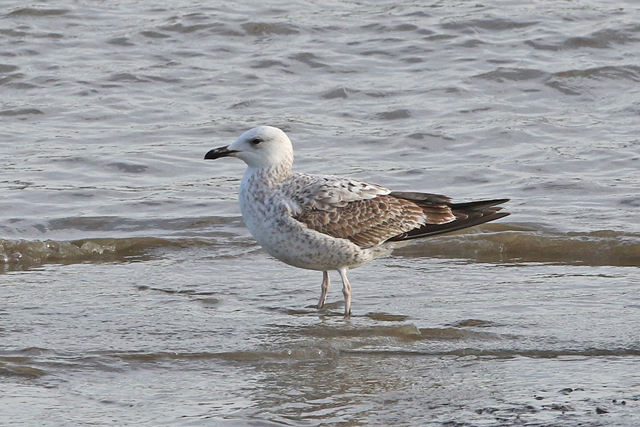 This was the 27th Caspian Gull of the season, and possibly (but hopefully not) the last. One thing I did learn today was mid and high tide visits could be worthwhile here in the future, as the gulls seemed much keener to come to bread when it was in the water rather than on the exposed mud. 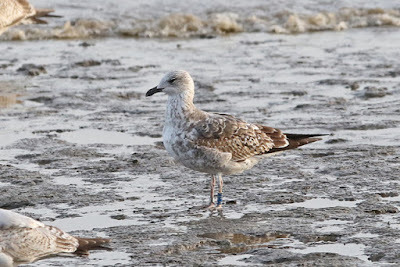 Spread across both days, I managed only eight rings - a regular Danish Great Black-backed Gull, a 1st-winter Danish Lesser Black-backed Gull that Josh had seen in West London in February and six different NTGG rings. 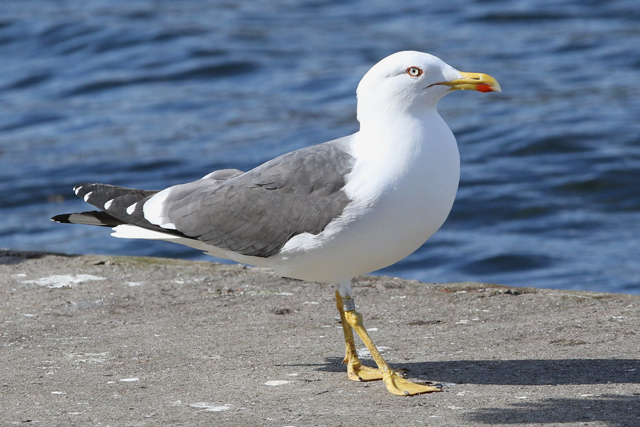 Anyway, just one week left at school before I hopefully manage to get a few nice new gulls seen in April... very much looking forward to it.